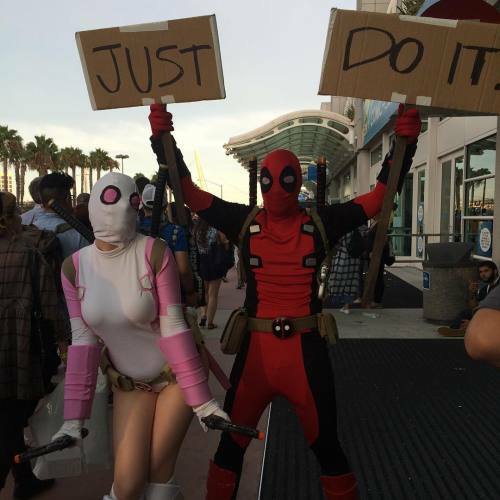 Marvel was not very active on the movie front at San Diego Comic Con. 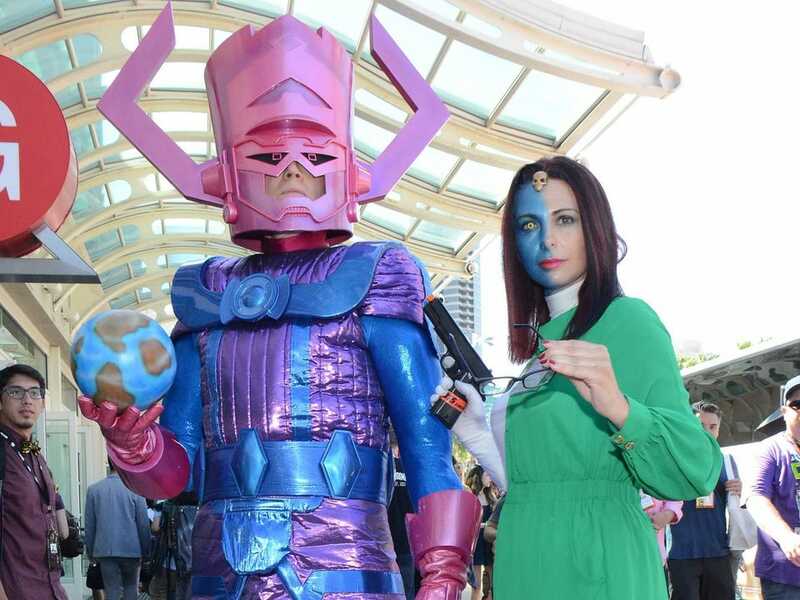 Marvel Cosplayers were still out in force with some amazing cosplays. This was a really cool Cosplay team basically the Spider-Verse squad in action. There were a few Thanos cosplayers walking around. This Captain Marvel was a huge standout at the Con. Her Cosplay and all over persona won over fans left and right. Deadpool was very popular here especially with the movie coming out. 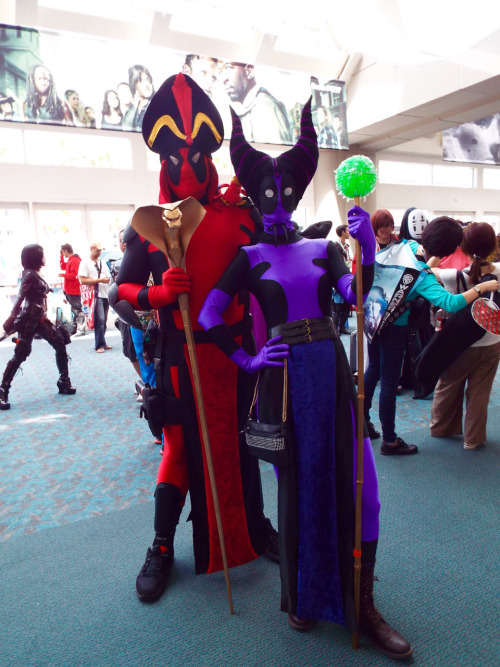 Here is a Deadpool Jafar. One of my favorite was this one of the big bad X-Men foe.